With high-quality, tax-free merchandise, excellent service by friendly and knowledgeable sales staff, and comfortable, air-conditioned stores, shopping in Barbados truly is just beyond your imagination! Purchase handmade pottery as dinnerware, serving pieces and decorative pieces! Dutyfree shopping is especially popular, with prices typically being 30 to 50% less than in Europe and North America! When making dutyfree purchases be sure to have your passport and airline ticket with you. Your packages can be delivered to the airport or sea port for your convenience. 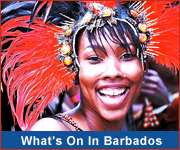 The heart and soul of shopping in Barbados is Broad Street in the capital city, Bridgetown. 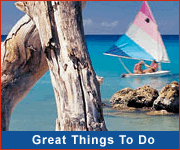 There you will find several large department stores and duty free shops. In addition to the specialty stores (such as jewellery stores), there are several shopping malls offering a wide variety of products and services. Pelican Village, on the outskirts of Bridgetown, is the place to get local handicrafts including straw bags, wall hangings, batik, paintings, rum cakes, and much more! Shopping in Barbados is by no means confined to Bridgetown. There are several smaller towns like Holetown in St.James and Speightstown in St.Peter that feature craft shops and gift shops. Several shopping malls and plazas are also located outside of Bridgetown. 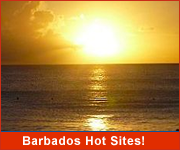 Chattel Village shopping areas are becoming increasingly popular in Barbados. These feature shops made in traditional chattel house style and selling souvenirs, gift items, clothing and local arts and crafts. You can find these chattel villages at Holetown, St.James and St.Lawrence Gap, Christ Church. On the south coast: Massy Worthing (formerly Big B Supermarket), TriMart Worthing, Massy Oistins. On the west coast: Jordan's Supermarket (Payne's Bay), Massy Holetown, Esso AutoMart (Payne's Bay).